He once said, "Death is life's best invention..."
Purchase a copy of this ebook from Amazon/Kindle: Steve Jobs'Poetic Biography, Business Principles and Decisions: How to Live before You die. Purchase a copy of "Steve Jobs' Poetic Biography, Business Principles and Decisions: How to live before You die...."
If you like Walter Isaacson's biography of Steve Jobs, you will also like this ebook, "Steve Jobs’ Poetic Biography, Business Principles and Decisions: How to Live Before Dying, Acumen, Leadership, and Entrepreneurship"
"Steve Jobs’ Poetic Biography, Business Principles and Decisions: How to Live Before Dying, Acumen, Leadership, and Entrepreneurship" is a book based on the public life and business acumen of the Apple Co-founder and icon. 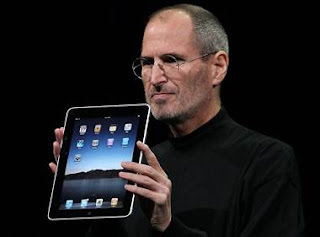 Through his product design, focus, and presentations, Steve Jobs had a profound impact not only on the Tech industry but also on many other fields such as marketing, showmanship, product design, architecture, poetry, spirituality, and entrepreneurship. This book is designed to help the young entrepreneurs and students of business understand what is important to consumers and related consumer experience.